In what seems like a yearly occurrence at this point (mainly because it is), my favorite (and the nation's most reviled) football team, the New England Patriots, has once again made it to the Super Bowl. I wrote about how incredible this run of success has been last year right around this time, as well as in years past, but this year might be the most improbable of all apart from the first Super Bowl they won in 2001. After losing a heartbreaking Super Bowl to the loathsome Eagles last year, the Patriots seemed to be at the end of their dynastic road. Last year marked their eighth Super Bowl appearance in seventeen seasons and capped off a bizarre end to a season that saw quarterback Tom Brady's seeming estrangement from head coach Bill Belichick as well as tight end Rob Gronkowski contemplating retirement. There was also the Jimmy Garropolo trade that seemed to come out of left field earlier in the season as well as Belichick's inexplicable decision to bench cornerback Malcolm Butler which may have cost the Patriots their sixth ring. What it led to was an offseason and 2018 regular season that was as up and down as any during the Brady/Belichick dynasty. At times the team seemed old, tired, undisciplined, and mediocre. At other points they seemed to find their old magic and reverted back to their dominant form. The low points were the back-to-back losses in Miami and Pittsburgh in weeks 14 and 15. Sitting at 9-5, it wasn't certain they'd finish as a top two seed and secure a valuable first round bye. The Patriots had no identity for much of the season and I wrote about all of this dysfunction on Guy Boston Sports earlier this season. It was cathartic to write that, but it didn't make me feel good about this team's chances in the slightest. Then a funny thing happened: the team finished off the season with two blowout wins against division opponents Buffalo and New York (Jets). They secured the two seed in the AFC, secured a bye, and seemed to be rounding into form. Still, there was a little bit of doubt at least on my part because of the fact that they'd finished 11-5 (one of the lowest win totals of the Brady/Belichick era) and because those two games were against bad teams in the Bills and Jets. I did feel strangely confident as the playoffs began to unfold and I wrote on Guy Boston Sports about how the Patriots had a seemingly straightforward path to the Super Bowl if everything played out a certain way. The Patriots did their part by defeating a very good Chargers team, but the Colts couldn't hold up their end and lost to the Chiefs. That sent the Pats to Kansas City for the AFC championship game with the tall task of having to win a road playoff game for the first time since 2006 (remember: because they almost always finished as the one or two seed, the Patriots have barely played any road playoff games since 2001). I didn't think it was an impossible task, but I did think it was a difficult one. 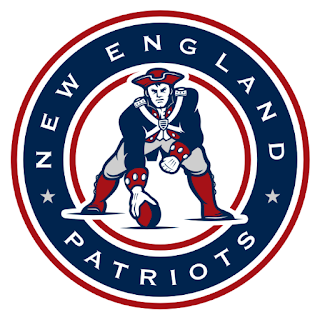 For the first time in my life as a Patriots fan, while I was excited for the game and wanted them to win badly, I felt that they were playing with house money. With how schizophrenic the team had been all season, they had already exceeded my expectations by getting this far. While I wanted them to win in the worst way, I didn't have my usual pregame jitters and just wanted to enjoy the game and see what happened. Either way, they'd salvaged a weird season and I was fine with that. This is not supposed to happen, folks! In an NFL with a hard salary cap that has pushed for parity (which is really a nice way of saying they want every team to be mediocre so that everyone has a chance), the Patriots have somehow created the greatest and longest-lived dynasty in NFL history and one the greatest in all of sports. It has all flowed from the ownership of Robert Kraft and the sustained excellent and longevity of Brady and Belichick, who are in their 18th season together. How much longer this can go on is anyone's guess. I and numerous others thought that this year was the beginning of the end, but instead it's only a continuation. Now that the dust has settled from the AFC Championship game and I've had some time to reflect on it, I think this season might be the greatest coaching job of Bill Belichick's career. He took a team that wasn't as talented as his teams usually are, with all of the dysfunction and uncertainty that has never afflicted the Patriots in years past, and somehow got them to play their best football of the season when it mattered most starting in mid-December. What looms now is a rematch of the very first Super Bowl they won against the Rams (who called St. Louis home but are now back in Los Angeles). It would be a fitting completion of the circle if they won their sixth title by beating the team against whom they won their first. Whether that happens or not we'll have to wait a couple more weeks to see, but in the interim we should all sit back and take stock at how ridiculous this run of excellence has been. I was a month shy of 22 when they won their first Super Bowl; I'm a month shy of 39 as they prepare to play in their ninth since then. This is not supposed to happen, but it has and it has been glorious to behold. As I tell my kids, who are young enough to know nothing but the Patriots winning all the time: This Is Not Normal. It's not supposed to be like this and we will almost certainly never see anything like this ever again once it's over, so sit back, enjoy it, and savor every moment. I know I will. This post actually piggybacks off of another one I recently wrote titled Why I Love Sports. That one, which you can (and should) go back and read if you haven't already, was inspired by a comment one of my daughters made at an NBA game which led to the realization that even though I love rooting for my favorite teams, I just enjoy sports in general and for many reasons. There was one sentence in that piece, though, that germinated in my mind and which led to this offshoot post: "we had fun although the constant barrage on the senses (mainly noise) of modern NBA games drove me absolutely nuts (that's a topic for another post)." At work the day after that game, a coworker asked me how the game was. I reiterated to him that the game itself was fun, but that the game presentation left a lot to be desired. He agreed and then we laughed when we realized we sounded like two cranky old men (I'm pushing 40 and he is in his mid-50s). Still, when I mentioned to him that, for as much as I love basketball, I will go to a baseball game over a basketball game nine times out of ten, he agreed. As is typical with the way my mind works, that got the wheels in my head turning and spawned this post that you're now reading. So what is it about the experience of a baseball game that I like more than a basketball game? (Or conversely, what is it I dislike more about basketball games than baseball games?). Before I start, let me point out that this isn't me saying one sport itself is better than the other. Anyone who knows me and/or has read this blog knows of my passion for baseball, but I am just as passionate about basketball. They were the two sports I started playing and watching when I was five years old and I'm as big a Boston Celtics fan as I am a Boston Red Sox fan. When my wife and I were dating in college and into the early years of our marriage (i.e. before kids), we used to go to tons of Celtics and Red Sox games in Boston. They were always a lot of fun and we managed to still get to the occasional game when our kids were small, but it wasn't until the last few years once our youngest was old enough that we started taking the kids with us. We've taken them to see the Red Sox at two different ballparks (including their first trip to Fenway Park) as well as multiple AA and AAA minor league games. The NBA game we went to recently was their first, though; it was also the first one I'd been to in probably six or seven years. What struck me was how different the in-game experience was in 2018 compared to 2012 when I last went. For all of the games I'd been to since the mid-1990s, I remembered a fair bit of extraneous stuff that went on in between the game action. They'd play some music during TV timeouts or game timeouts, between quarters, and of course at halftime. There was the occasional t-shirt cannon fired into the crowd and of course the silliness on the JumboTron. But there was never, EVER, anything going on during the game except for the game itself. The second the whistle blew and the ball was inbounded, the music, the noise, the extra stuff all stopped and the focus went back to the game. Well, let me tell you that it wasn't like that at the game we just went to a couple of months ago. There was all of the requisite and expected noise during the down time, but during the game itself there was constant music, constant flashing lights, constant nonsense on the JumboTron, just constant STUFF going on. It was so loud and bright and incessant that it drove me nuts. With all the garbage going on during the game, I can't imagine it wasn't as distracting for the players as it was for us in the stands and it's a testament to their focus that they could filter all of that out. Speaking of focus, it's a sad statement on how short out attention spans are as a society that all of the bells and whistles are necessary to keep people entertained when, you know, the actual BASKETBALL GAME itself should be the reason we're all there in the first place. It made me realize how fortunate we are that all of that unremitting noise isn't audible when watching the games on TV. Now contrast that with watching baseball at a ballpark. True, it's not a sport that lends itself to short attention spans and constant commotion in the first place, but that's one of the many things outside of the game itself that I love about it. When you go to the ballpark, you go for the experience and the atmosphere as much as for the game. What do you hear the majority of the time when you're there? Mainly it's the sounds of the game. The murmur of conversation throughout the ballpark, people yelling out cheers (or jeers), vendors hawking beer and soda and popcorn and peanuts, polite applause after a pitch or a put-out, the crack of the bat, the ball smacking the leather of a glove, the sudden rush of excitement when the ball is put in play. Sure, there's a bit of noise at baseball games, mainly the walk-up music for each hitter (which I think is silly). Still, it's only a 5-6 second snippet per hitter over the course of a nine inning game. For minor league games (of which we go to many), there's a bit more in the way of entertainment during down time, but minor league teams have long been known for this in their attempt to draw people to their ballparks and it's actually one of the charms of minor league baseball. Usually there will be silly things like a wacky race between some kids or a quiz where the contestants chosen from the crowd can win prizes, but even these are much less noisy and irritating than those during NBA games. I'm sure being outside at a ballpark versus inside an enclosed arena helps the sound to breathe and dissipate more which makes baseball games seem less noisy. Again, I realize the nature of the two sports is quite different, but it didn't always used to be so oppressively noisy at NBA games. Perhaps it's simply a sign of the times? Basketball is full of fast-paced action and NBA gives you constant stimulation of the senses which caters to today's low/no-attention span society. Contrast it with baseball which is more old fashioned, slower paced, demands much more attention, and only has short bursts of action in between pitches. MLB and MILB couldn't get away with offering an NBA-styled in-game experience because it doesn't lend itself to the sport at all. As I rapidly near forty years of age, and even though mentally and physically I still feel like I'm only twenty, I've come to the irrefutable conclusion that I vastly prefer going to baseball games over basketball games, at least of the professional variety. Whether that means my tastes are changing because of age (I don't really think so) or that I just don't like the modern presentation of NBA games (which I'm sure is the real reason), I'm comfortable with this conclusion. What about you? Do you prefer one over the other? And if so, why? Astute and/or long-time readers of this blog will recognize that this is yet another entry into a series of books I've read and reviewed called "I Was There." So far I've reviewed "I Was There" books about the Who, Beatles, and Rolling Stones. This latest addition to the series concerns arguably the greatest and certainly the most influential electric guitarist in rock history, Jimi Hendrix. 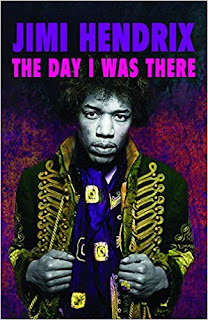 As is usual with these books, author Richard Houghton has collected and collated firsthand recollections from fans who saw Hendrix from his early pre-fame years all the way to his final concert in September 1970 a mere two weeks before his untimely death. As is typical with this series, the book format is a chronological look at Hendrix' live career as told by the lucky fans who saw him in person. Starting with some of his pre-fame gigs, the book traces the story of Jimi's discovery in New York City in 1966 by Animals bassist (and first manager) Chas Chandler. After taking Hendrix with him to London in the autumn of '66, Chandler set about getting a band together for Jimi and securing a record deal. The earliest gigs played by the newly christened Experience are recounted in the book including the occasions where Jimi sat in with Cream. After the release of his first singles ("Hey Joe," "Purple Haze") and one of the greatest debut albums of all time in early 1967 (Are You Experienced? ), Hendrix rocketed to stardom. It's interesting to see how quickly he graduated from playing at clubs and pubs in the UK and Europe to theatres and larger venues. His star really took off once he made his triumphant American debut at the Monterey Pop Festival in June 1967. From there to the end of his career, Hendrix was a megastar who was also one of the top grossing live acts of his era. What's interesting in reading the fan recollections is that, as Jimi's career progressed, the change in his performance, as well as his appearance and demeanor, was noticed by the fans packing the arenas. Many of the memories in this book clearly state that they preferred his live shows from earlier in his career and that by 1969 and 1970 he was sounding (and looking) very ragged and worn out. It's interesting that even concertgoers were able to notice the effects of the music business (and his second manager, Michael Jeffrey) chewing up and spitting Jimi out as they worked him to the point of exhaustion in order to stuff their coffers. Reading through the concert memories also takes the reader back to a more innocent time when tickets were cheaper, seating was anywhere you found a spot, and it was easy to not only catch a moment or a word with Hendrix, but even hang out with him in many cases! Some of the fans who shared their experiences were wrong about songs played or events at the concerts they appeared at (corroborated by the numerous Hendrix bootleg recordings circulating), but with the passing of so many years (and the consumption of so many illicit substances in those days), it's understandable. More valuable are the concerts for which there are multiple accounts; while in some cases there are conflicting reports of what happened, in most there is corroboration of what was said or done (a particularly memorable concert from Wisconsin in 1970 instantly springs to mind after having read the book). Jimi Hendrix: The Day I Was There is another fun entry in this series that will take fans who were alive during those heady times in the late 1960s back to their youth, while for those of us too young to have experienced it the first time, we can instead be transported back through the fan recollections. There isn't any new information about Hendrix or his music to be gleaned from the book, but that's not the point of this series. Instead, this book takes the reader back to a time when Hendrix was a completely new and unknown force on the music scene who reinvented what the electric guitar and rock music could do, one blown mind at a time.